Deleted or lost files — a temporary setback? Or one of your worst nightmares come true? We’re all too familiar with the panic that sets in when your important digital files get lost. But we assure you, don’t give up hope just yet. Getting your data back — even with a total hard drive loss — is often possible, and sometimes easier than you might think. If you’ve found yourself in this unfortunate situation, keep reading. We’ll cover your options, from steps you can take to recover deleted files, data recovery software suggestions and, if all else fails, data recovery services that specialize in hard drive recovery. This section covers steps to take in the event you’ve accidentally deleted a file or files on your hard drive that you need to restore. If your problem is a total wipeout of your files, scroll down or click here to jump to our section on Data Recovery Software. Open your computer’s recycle bin (usually found on the upper left corner of a Windows’ desktop or “Trash” in the menu bar on Mac). Right click the file(s) you’re looking for. Click “Restore” for Windows or “Put Back” for Mac. If you’ve emptied your recycle bin only to realize you “permanently” trashed a file you need, you may be able to get it back if you act fast enough, i.e. before your computer overwrites the space where your file resided. Try a file recovery program. There are some good programs you can find online that are pretty simple to use. We recommend Recuva or Restoration, both Windows-based and both free! If you have a Mac, try M3 Data Recovery by Softiva which is also free. Unlike data recovery software that can restore your entire hard drive, these programs are best if you just need to browse and restore a select few files. Still no luck recovering your deleted files? Or need an entire hard drive recovery? Keep reading! Is your data still missing in action? Your next step is to try file recovery software. 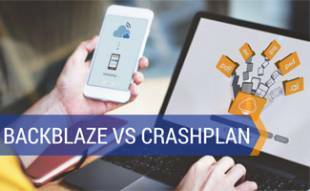 There’s some excellent data recovery software on the market that not only can help you recover files you deleted, but it can also salvage your files if you have a crashed or virus-corrupted hard drive. Our picks below recover your files by scanning your hard drive and creating disk images — and they all support a number of different file formats, including documents, video, audio and photos. For the software to work, you need to have a firewire, USB 2.0 or a second internal drive — never recover files to the same drive!! Here are our recommendations for the best data recovery software. If you don’t have the time or know-how to do it yourself — or you still haven’t had any luck using data recovery software, there are a number of local and online services that specialize in hard drive recovery. If you’d rather not ship off your hard drive, check the yellow pages or talk to friends or colleagues to find a data recovery service in your town. It will cost you, but if your data is priceless, it’s worth the investment. 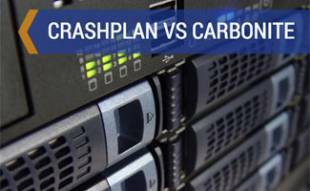 The following video by R-Studio, a premier data recovery software, explains exactly what’s involved when recovering deleted files and restoring a hard drive. Don’t Back Up Your Files? 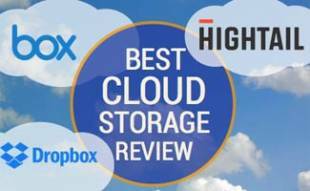 We’ve all heard time and time again that it’s crucial to back up your files either on another hard drive or in the cloud, but it’s one of those things that some of us often put off. If you’ve found yourself needing the tips in this article, we hope we’ve helped you retrieve your data. But, we can’t stress enough — be sure to back up all of your important files now so that you don’t have to travel the data recovery road yet again. 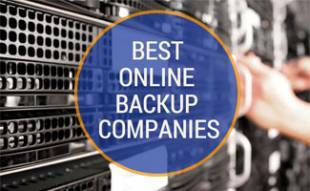 See our article, Best Online Backup Service, for our recommendations on how to back up your hard drive. 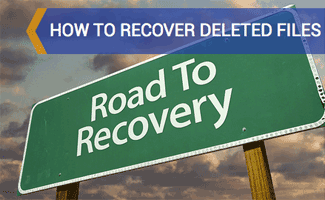 What are your tips and tricks to recover deleted files or to recover an entire hard drive? Thanks a lot for the article which has helped me a lot to recover the deleted file for my computer, laptop and mobile. Keep posting this type of article. Recovering permanently deleted data is also possible. These needed software tools. There are verified tools which are platform independent, but there had to be the compatible version of it. Hard drive data recovery can also be useful in recovering lost data. Hey, some of the recovery products sounds interesting wanna try all of them. But for few; reference links are not working can anybody help me getting that. Hi Peter, thanks for notifying us of this! The only link we saw that wasn’t working was the Remo Recover Windows Pro Edition Amazon link. It has been fixed now. Let us know if you need any more help!